Someone from my class posted previously and added a photo of our class. She was looking for Barbara Manus. Even though I don't have her info I would like to add that some of my best friends are with me in this picture. Im in a middle wearing a red shirt and some black and white suit. Yes, I remember the "may I" vs "can I", go to the bathroom. Please connect with me. Im Vicki Unger and Im trotterleg@aol.com. 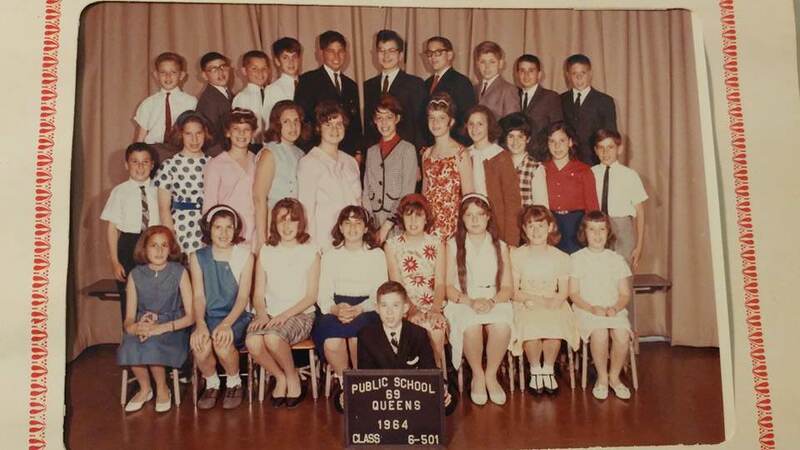 Re: 1964 PS 69 Mr Hartstein 6th grade. I was born 1952. Anyone out there? Here's a repost of the photo you mention in your post above.